Nepal is a country with diversified culture and tradition that which is in practice from the ancient time. Recognized as the peaceful country with multi-religious, multi-ethnic, multi-dialect and multi-caste communities in the world, present with the interesting historical and cultural sites. Massif Holidays is offering with wonderful cultural tour packages within Nepal to the travel and culture seekers. There are distinct cultural and tradition groups in Nepal which can be observed during steeping to the different streets or places or region. The society is influenced drastically by the ancient culture which is still in practice and reflects the lively character of Nepalese cultural groups. Exploring within Nepal and knowing the cultural facts and trends, makes one’s visit full of joy and can take buckets of information with them. There are different cultural programs in Nepal that are performed with the huge participation of multi-cultural groups. Along with this, witnessing the cultural monuments of Nepal are truly remarkable. Nepal has been an adored destination by most of the outsiders to observe the various cultural groups and monuments within the pristine natural beauty of Nepal. Nepal had got a favorable climate, and its cultural importance is scattered in different geographical regions equally, from lowland Terai to the high Himalayas. So, the various cultural tour packages hold their different best time or seasons. In a nutshell, March-May (Spring), June – August (Summer), September – November (Autumn) and December – February (Winter) are presenting with different natural and climatic features which as per one’s interest can participate in favorable cultural tour package of Nepal. Which age group can participate in Cultural Tours in Nepal? The age limit for visiting in Nepal and witnessing the cultural facts have no such restriction. From the children to old age citizens, cultural tour packages will be a perfect choice. Under the guidelines of the parents or family representative, child and elder people can have their wonderful time in Nepal. For required information and help, the expert team of Massif Holidays is available for the travelers. Cultural tours in Nepal include the various attractive places like UNESCO World Heritage Sites – Kathmandu Durbar Square, Patan Durbar Square, Bhaktapur Durbar Square, Pashupatinath, Changunarayan, Swyambhunath, Boudhanath, and Lumbini. The capital city of Nepal is regarded as the cultural and religious hub and also the spiritual valley. Massif Holidays is delivering wonderful and interesting cultural tour packages to make the journey of outsiders notable within the land of the Himalayas and the Birthplace of Lord Gautam Buddha, Nepal. 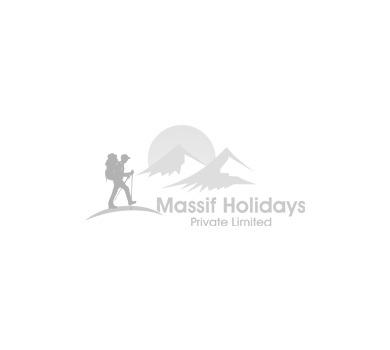 The team of Massif Holidays will be helping and providing with better services to make the trip in Nepal remarkable and unforgettable. Get participate in one of the world most renowned tourist destination for witnessing the cultural importance of Nepal.